We previously had the opportunity to work with Kidorable to review their Ladybug Rain Coat & RainBoots. You can read the full review here. 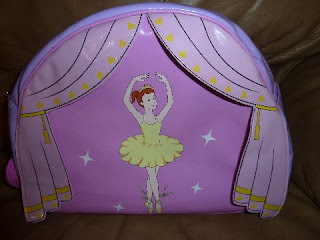 The Lil Divas loved the products so much that we purchased the Ballerina Set for the Littlest Diva as well. So, when Kidorable contacted us again to review their toddler backpack we jumped at the opportunity. 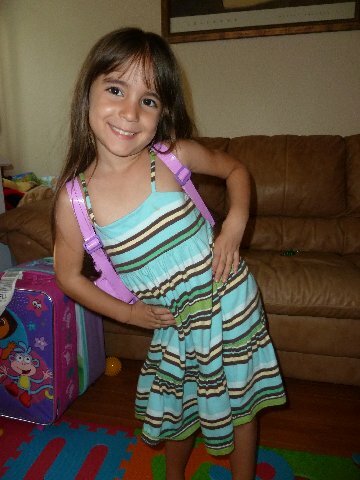 This product sounded perfect for my Littlest Diva so I knew this review was all hers! 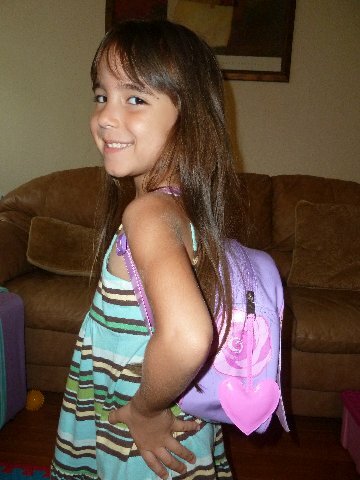 My Lil Diva loves her Kidorable backpack! We were lucky enough to have the opportunity to pick the backpack we wanted & the Littlest Diva immediately chose the ballerina to match her Rain Wear. 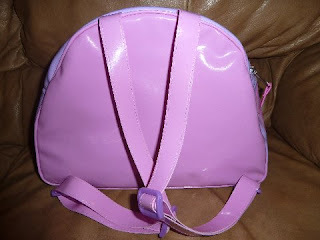 I knew it would be a hit when it arrived because she loves purses and bags. The Ballerina Backpack has become a staple of the Littlest Divas wardrobe since the day it arrived. What's not to love for a Posh Lil Diva? It is pink, features a cute ballerina, has a dangling heart on the zipper, adjustable straps and is easy to use! Moms, they are easy to clean too - a little wipe down & your done. 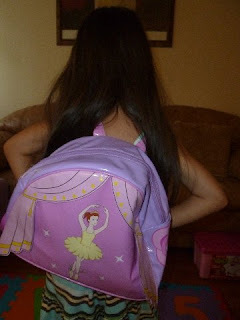 Isn't my Posh Lil Diva just too cute sporting her Kidorable Ballerina Backpack? Kidorable's toddler-sized backpacks are the perfect size for my Littlest Diva who is 3 (almost 4). It's not too big so she feels comfortable carrying it around. Yet, it's big enough that she can carry her treasures. So many backpacks we see in stores are way too big and bulky for her to comfortably carry. 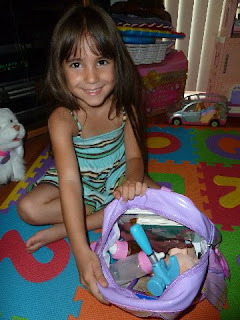 The Kidorable backpack has been a huge hit for my Lil Diva! I am so excited that one of YOU gets to win one right here as well! :) Woohoo! Buy It: You can check out all the adorable backpack styles for girls and boys. They have something to suit every child's fancy from pirates, frogs, dinos, astronauts & firemen for boys to ballerinas, butterflies, ladybugs, mermaids, cats, fairies & flowers for girls. Every design is adorable - you really can't make a wrong choice! 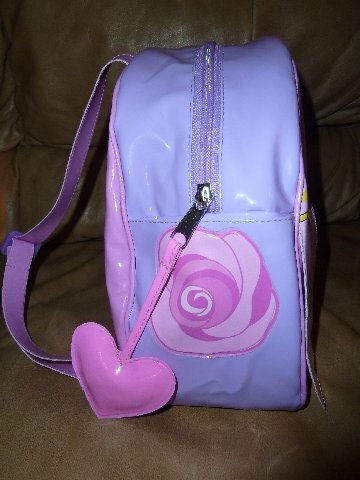 **DEAL ALERT**: From May 16 through May 31 you can purchase any Kidorable backpacks for 20% off by using code SUMMER33 at checkout on Kidorable.com. Visit Kidorable.com and tell me which backpack you would like to win! Disclaimer:I received a backpack for the purposes of trying it out with my daughter for this review. That being said, this review is our 100% honest opinion of this product - I am not paid for my reviews or optinions! They are 100% mine! Please remember that your opinions and tastes might differ from mine. the fairy is super cute!!! I have been eyeing some Kidorable gear for a while. They have such clever designs. If I won the backpak here I would go with the Lucky Cat Backpack, my daughter just became obsessed with cats and I know she'd love it! I'd choose the Space Hero backpack for my son if we won. If I won id love the space hero backpack.!! Ladybug please - too cute! I love the frog backpack! I think I would choose the frog backpack. I've been digging frogs lately. Lol. They are all so cute though. Love the ladybug too. Like Kidorable on FB and told them you sent me. Actually the Ballerina Backpack for my granddaughter who loves playing dress-up in her Princess dresses. I would love to get the Butterfly Backpack. We like the Lucky Cat Backpack. I Follow Mom to 2 Posh Lil Divas on Twitter as tartstrawberry. I Follow Kidorable on Twitter as tartstrawberry. great ideas...we've had so much rain it's great to see what others are doing on rainy days too. Love this idea! great way for kids to learn. I would love the ladybug one! I'd like to win the ladybug backpack! I would want to win the dinosaur.. or maybe the frog. My granddaughter is pointing to the Ballerina Backpack, but grandson is saying "NO" Pirate Backpack! (My daughter) would love to win the lady bug backpack! i love the ladybug backpack! I'd love the Space Hero backpack! Like Kidorable on Facebook; told them you sent me!